YOUNGSTOWN — The high ceiling, nets hanging down surrounding the field turf surface. You can hear a consistent ping in the background as a Youngstown State softball player is working in an enclosed netted cage at the southeast end of the WATTS indoor facility. 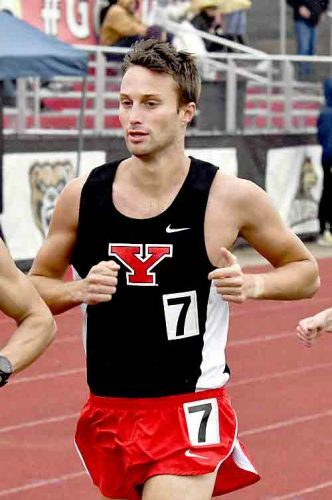 Brian Gorby, wearing a black T-shirt and proudly displaying the YSU logo and colors, looks around this spacious venue as the air consistently blows around from up above — keeping this enclosed area from become like a sauna. The echoing pings and blowing air are to be replaced by quick, emphatic footsteps and the occasional thud as field events personnel display their talents. Gorby, the YSU men’s and women’s track and field coach, knows this indoor space is going to have more people populating the WATTS this Saturday and Sunday as YSU again hosts the Horizon League Indoor Track and Field Championship. The four NCAA Division I-AA football national championships banners are dominantly displayed on the east wall. The track and field and cross country exploits are in the north quadrant as the years of conference championships pile up in the white space below. The Penguins have captured three straight women’s titles, while the men have made it two straight in the Horizon League. 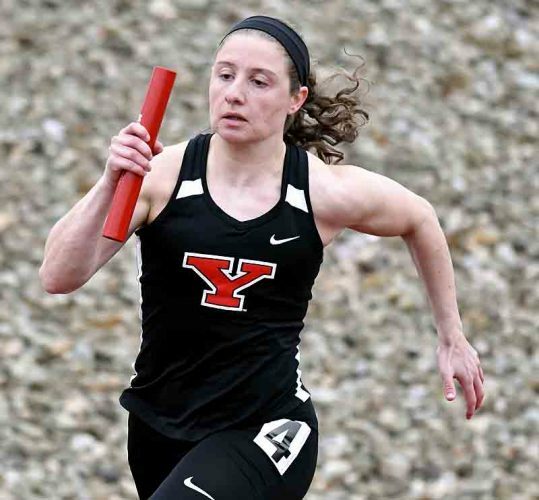 The YSU women has Milwaukee and Oakland to contend with this weekend and hopes to get off to a good start with Jaynee Corbett, who is seeking yet another Horizon League championship in the weight throw, to get things started. 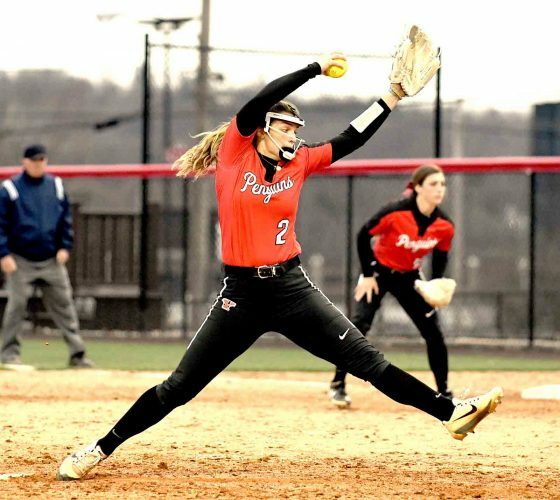 If Poland’s Nicolette Kreatsoulas and Kaitlyn Merwin can reach finals with Corbett, it could give the Penguins the start they need to hopefully win four straight titles. Good starts in the distance and pole vaults could help as well. Getting to Sunday’s finals in the sprints in the final and essential piece as Keishawnna Burts, Jaliyah Elliott and Taylor Thompkins should lead that push. 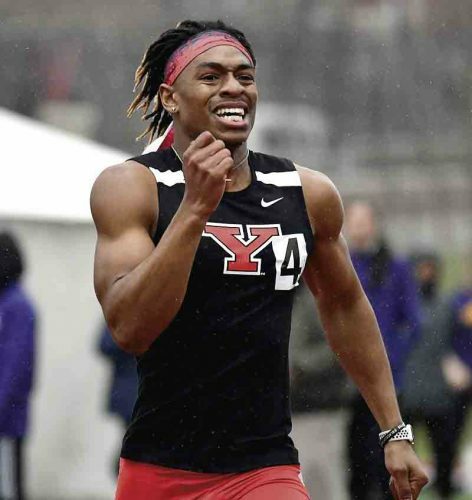 On the boys side, YSU is hoping for its second straight Horizon League title. The field events are important, but having a strong finish in the sprints as well should vault the Penguins past Oakland and Milwaukee. It’ll start with Mineral Ridge graduate Ryan Booth seeking another League title in the boys shot put and getting some points in the distance as well with Howland’s Ryan Sullivan. Girard’s Collin Harden and Boardman’s Brendon Lucas in the sprints should be contributors as well, but it’ll be reliant on points from John F. Kennedy graduates Carl and Chad Zallow. Zallow, ranked third in the nation in the 60 hurdles, looks to capture another title, while Carl is one of the best sprinters in the Horizon League. The men should hoist the trophy once again, but don’t count the women out of this competition as the Penguins have at least four to five in each event while most other Horizon League team have one or maybe two. If both Penguins team can follow that blueprint, they might both be raising trophies once again on the west side of the WATTS.